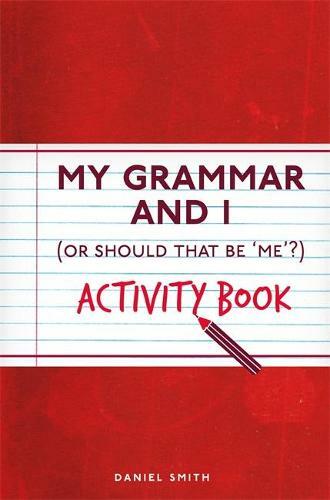 Packed full of quizzes and challenges, this fun and practical workbook will help you iron out any grammatical errors and communicate more clearly. English can be a complicated language; with its myriad influences its grammar can seem full of exceptions and irregularities. This activity book takes you through the basics of grammar, punctuation and spelling, providing clear and concise explanations of each concept followed by exercises to test how much you've remembered and consolidate your knowledge. With multiple-choice questions, fill-in-the-blanks, crosswords, pictograms, 'Spot-the-Mistake' quizzes, check boxes and similar tests, which increase in difficulty, this is the perfect primer for anyone learning English or who would like to brush up on their skills and test their knowledge. You will never be caught out by misplaced apostrophes, dangling participles or poor spelling again!